20% military discount for active duty and military families. 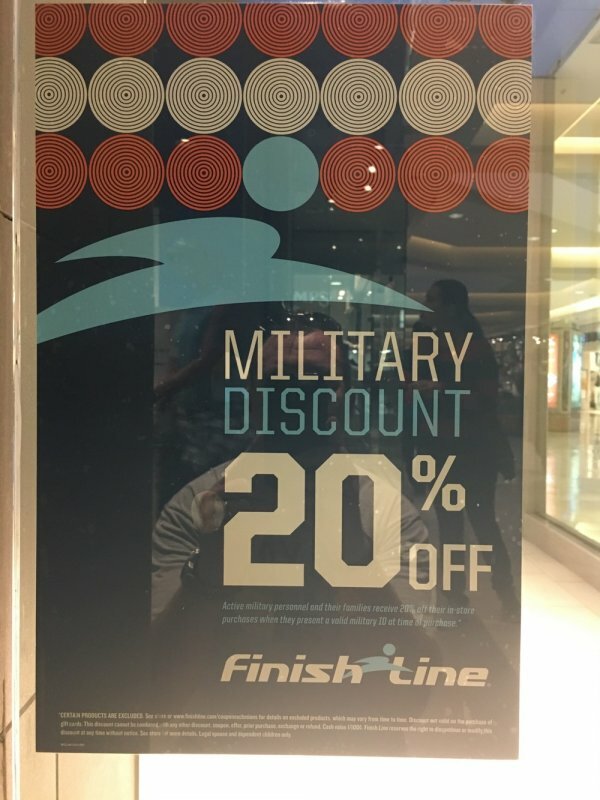 We talked with the manager of our local Finish Line, and they confirmed that they extend the military discount to anybody with a military ID or proof of service, including veterans, retired military, reserves and Guard. 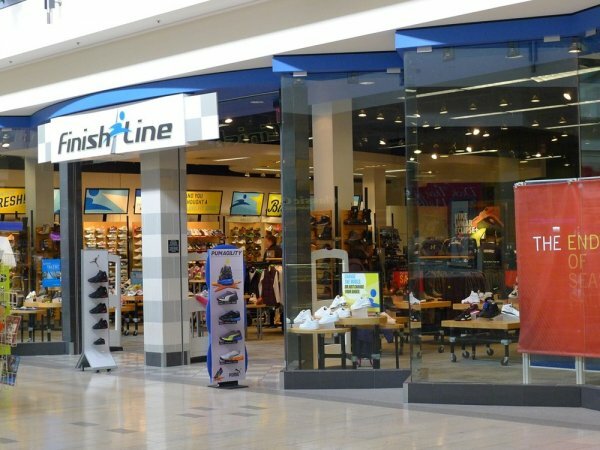 Finish Line offers the best selection of premium brands and styles--delivering a relevant product assortment that connects with our customers' dynamic lifestyle. This premium experience, for their consumers, is driven by quality and not price. Their assortment is focused on everyday sport footwear (products that are made for sport but primarily worn for fashion or every day use), but they also carry the best performance and athletic casual footwear in the mall and online. Finish Line compliments this best-in-class footwear selection with the right mix of premium apparel and accessories.